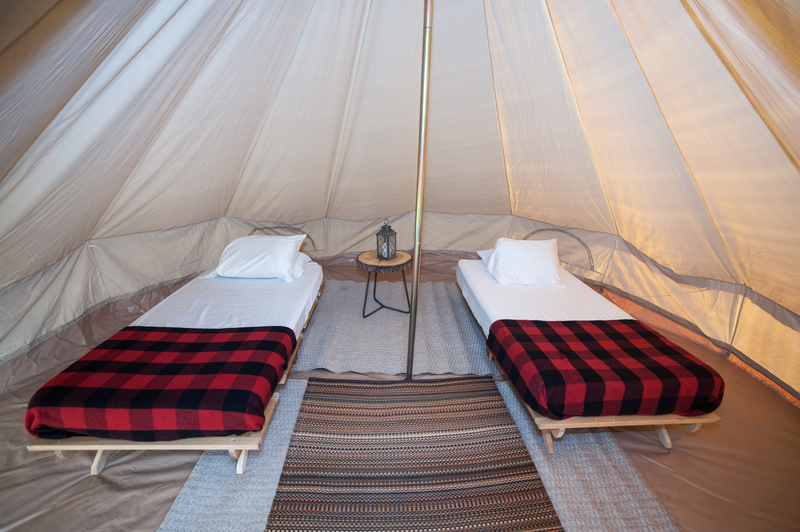 Q: Do Glamping Tents include festival tickets? A: No. Festival passes must be purchased separately and you must have your festival passes in order to redeem the tent rental. Q: How do I get to my assigned Glamping Tent for the weekend? 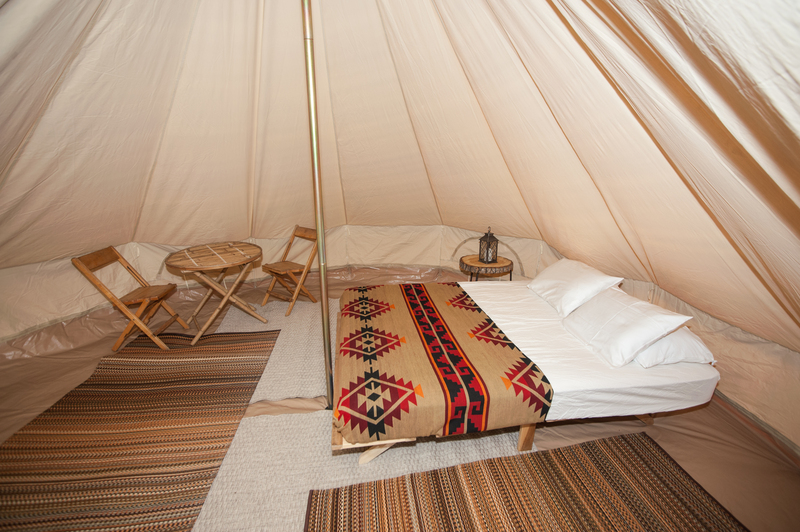 A: Upon entry, we will have a designated check-in area where you will be directed to your assigned a Glamping Tent. 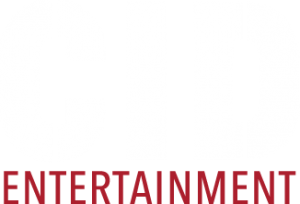 As it gets closer to the event, the ticket purchaser will receive an email with all of the package details, including exact times and locations for the check-in. Q: Where will the Glamping campground be located? A: The Glamping campground is located directly above the Mushroom Stage and is the closest camping location to the music. Q: Do the tents have electricity? A: Yes! 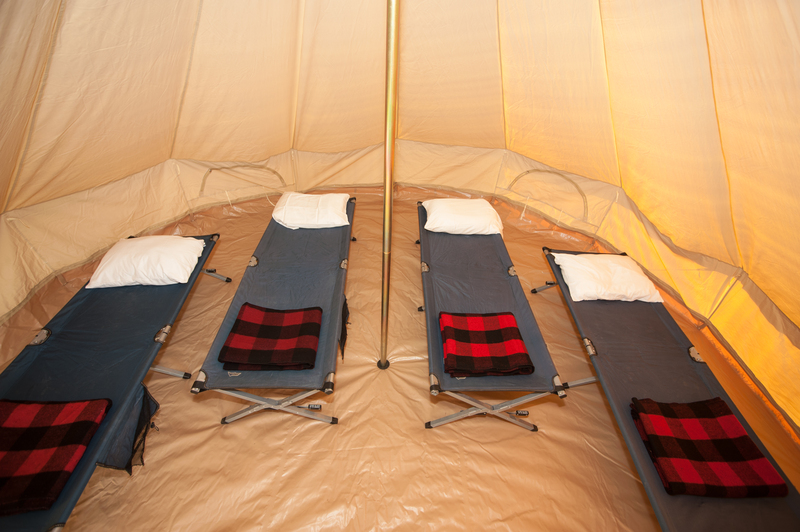 Each tent includes an electrical power strip for charging devices. Q: Is parking included in the Glamping tent package? A: Yes! Glamping packages include (1) parking pass for the campground parking lot. Glamping guests will be provided golf cart transportation from their cars to their tent for load in and load out. 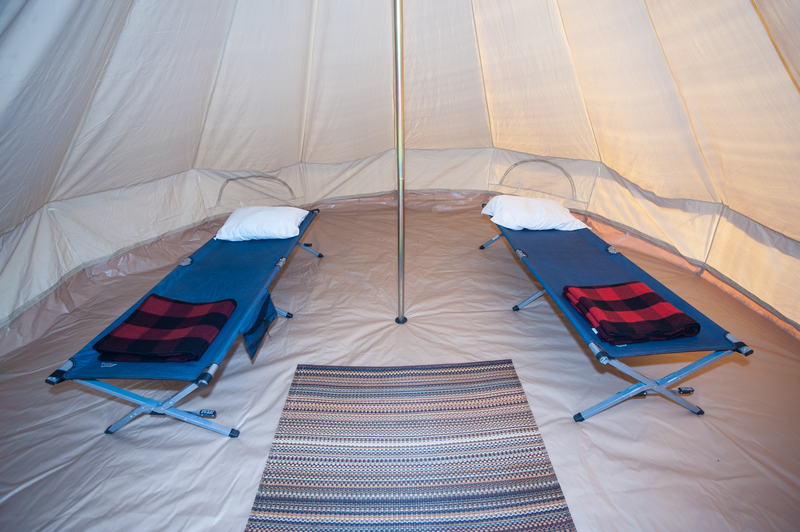 Q: Will I have room to set up a canopy or pop up tent outside of my Glamping tent? A: Due to Fire Codes, we simply cannot guarantee the ability to set up a canopy or pop up. Unapproved pop ups or tents will have to be taken down.